R. Morris Copeland (1830-1874). Photo kindly provided by Allen Mitchum, Jr. The dishonorable discharge of Major Robert Morris Copeland sheds light on the complex, at times brutal, personal politics among officers and government officials during the Civil War. Copeland’s injudicious (to put it mildly) behavior and his clear inability to navigate politics within the army earned him the disrespect, and in some cases, ire of his superiors, including General Nathaniel P. Banks, Secretary of War Edwin Stanton, and even President Lincoln. This behavior was the primary cause of his abrupt dismissal. However, Copeland’s views on abolition and his advocacy of raising black regiments played a role in irritating his superiors and the matter raises questions as to the possible biased treatment of abolitionist officers by their superiors and peers who disagreed with their views. R. Morris Copeland (1830-1874) was born in Roxbury, Massachusetts. He studied liberal arts at Harvard College and graduated in 1851. 1854 was an auspicious year in his life–he married Josephine Gannett Kent, daughter of a Unitarian minister from Duxbury, and began a partnership with Horace Cleveland, establishing a successful landscape architecture firm. They designed Sleepy Hollow Cemetery in Concord, Massachusetts (now the famed resting place of so many American Renaissance writers) among other successful projects. In 1859, Copeland published Country Life: A Handbook of Agriculture, Horticulture, and Landscape Gardening, a widely respected volume. At the beginning of the Civil War, Copeland was commissioned a 1st Lieutenant with the 2nd Massachusetts Infantry and became quartermaster of the regiment. He served with the regiment for several months while it was on picket duty along the upper Potomac until August 8, 1861 when he was recruited by Major General Nathaniel Banks, former Governor of Massachusetts, and was appointed his aide-de-camp. In November, Banks appointed Copeland his Assistant Adjutant General, a top aide position, with the rank of major. Banks’s forces during the early spring of 1862 had the crucial assignment of holding the Shenandoah Valley and keeping General Stonewall Jackson’s forces occupied to prevent their reinforcing the Confederate army in Richmond. As Stonewall Jackson began to put his troops into motion and launched his famed Valley Campaign, Banks knew he would soon be facing overwhelming odds. Banks therefore sent Major Copeland on a mission to Washington to petition the War Department in person for reinforcements. In addition to this, Copeland had a proposal of his own in mind. Copeland felt so strongly on the matter that he wrote Secretary of War Stanton on May 7, 1862, requesting permission to raise a black regiment. Stanton did not reply. Copeland then brought the idea to Banks, who, as Copeland put it, “with characteristic caution, neither approved nor objected to it.” And so, when Copeland made his journey to Washington, he brought with him Lt. Shaw, who Copeland hoped would play an important role as major (third in command) of the regiment. Whether this suggests that the President was preoccupied with other matters or simply unwilling to hear anything on raising black regiments is unclear. 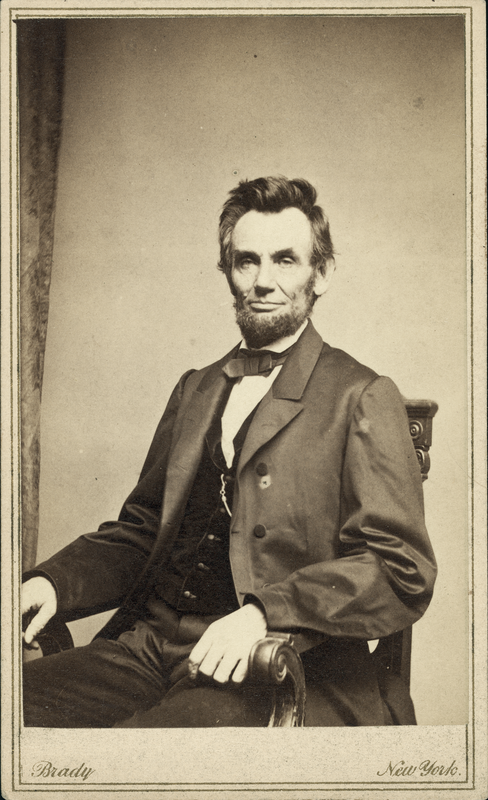 Stanton had dealt with such proposals from other Union officers before and found that the President was adamant that the question of arming former slaves rested solely with the President and such measures could only be taken if proven to be indispensable, Lincoln wrote, “for the preservation of the nation.” At this time, Lincoln was moving towards such a position, but he was not there yet. 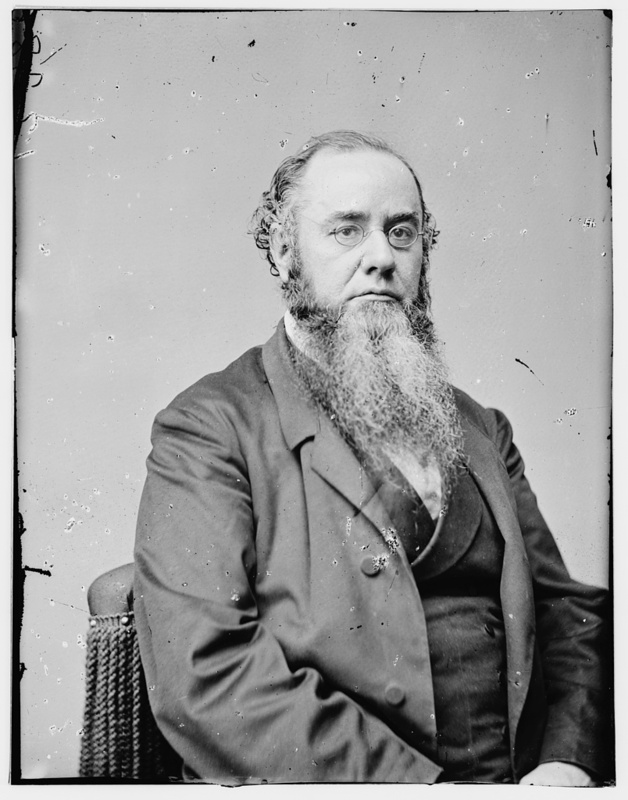 Secretary of War Edwin Stanton (1814-1869). Library of Congress photo. While there may have been exaggeration on the part of these men in describing what Stanton had said to them, Stanton was most certainly sending out mixed signals and, in the spring of 1862, must have felt that the issue of raising black regiments was a vexing quagmire. During the interview, Stanton quickly changed the subject away from black regiments and inquired as to General Banks’s situation and prospects in the Valley. Upholding his instructions from Banks, Copeland told Stanton that Banks urgently required reinforcements. According to Copeland, Stanton “appeared annoyed” and said that he did not think Jackson was a threat. And with that their meeting was over. Copeland received a telegram later that day from Banks stating that Jackson was advancing and Stanton must send reinforcements immediately. With this news, Copeland proceeded to track down Stanton in the evening, finding him at dinner with Representative Samuel Hooper of Massachusetts. While Hooper allowed the interruption, Stanton was greatly irritated and again refused any reinforcements. Copeland proceeded to brazenly argue with the Secretary in front of Rep. Hooper, stating that troops might be wanted elsewhere, but they were needed in the Valley. 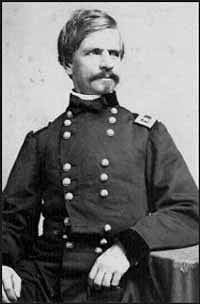 Stanton eventually agreed to send a brigade from Baltimore and Copeland, satisfied in fulfilling his orders, departed, likely leaving Stanton to fume over the remainder of his dinner. Curiously, Copeland did not return to his post in the Valley where, he knew, his commanding officer’s forces were in dire jeopardy. Instead he opted to take advantage of a previously granted leave of absence and went home to Boston. The day after he returned home, on May 23, 1862, Jackson routed Banks’s command at the Battle of Front Royal and eventually drove Union forces across the Potomac into Maryland. It was one of the most calamitous defeats the Union experienced during the war. I was sent to Washington to ask for aid, meagerly and tardily granted…This morning we have the sad knowledge, that this three months of labor, of the extent of which you cannot conceive, is undone; that, humiliated, sorrowful, but courageous and earnest still, we have been compelled to return to Maryland…Do you wonder that, under all these disadvantages, Major Gen. Banks, with his handful of six thousand men, has had to retreat before twenty-five thousand of the enemy? Maj. Gen. Nathaniel P. Banks (1816-1894). National Archives photo. As Copeland was en route to Maryland, Banks sent a telegram to Boston instructing Copeland not to return in light of his proclamation in Boston. Copeland did not receive this, and when he arrived, Banks told him that he thought it best that Copeland seek a transfer. Wanting to distance himself from Copeland, Banks had allegedly told several officers that he never authorized Copeland to seek reinforcements from Stanton. Over the next month, as matters grew more disagreeable with Banks, Copeland tried unsuccessfully to seek a transfer to various other commands. Then, on July 5, 1862, after hearing of the disastrous defeat of McClellan’s army during the Seven Days Battles, Copeland made his most grave, and foolish, mistake. His brother-in-law, Charles F. Dunbar, was editor of the Boston Advertiser, a paper which tended to be highly critical of the government. Copeland telegraphed Dunbar a message which, he later recalled, read something to the effect of, “McClellan defeated, and liable to be captured. The President alarmed, and uncertain what to do. Urge that a strong man be placed at the head of affairs…” And he coded this message in a cipher. “A thunderbolt from a cloudless sky,” Copeland wrote, “could not have been more startling. I could not realize that it was intended for me; and, in wonder and dismay, read and reread the fatal words.” Copeland immediately made for Washington, seeking an explanation and, if possible, recourse. He attempted to obtain an appointment with Secretary Stanton who would not see him. He asked Stanton’s staff if he could see the charges against him, got quite a bit of run-around, and was eventually told that he could not. Then, visiting Secretary of the Navy Gideon Welles, he was successful in gaining from Welles an introduction to President Lincoln. The meeting did not go as Copeland expected. Well, sir, I know something about your case, and I’ll tell you what I know. You’re that man who went to Boston about the time Jackson broke through at Front Royal, and wrote letters and editorials abusing the Administration, and made speeches, and did all that you could to make a fuss…You sent a most improper and malicious telegram, in cipher, to a Boston editor, which no officer had a right to do, saying I was scared, McClellan was to be captured, and we were all going to ruin. You thought you were very sharp, and put it into some kind of cipher you made up: but we’ve got some very cute fellows in the telegraph-office, and one of them worked it out, and sent it to me to read, and I could see plainly enough that you belonged to that class of men who are trying to make all the mischief for the Government that they can. Fact is, I believe you want to help run this Government; and, because you don’t get as much notice as you think you deserve, you are trying to make trouble…The fact is, I am inclined to believe that you are a mischief-making fellow, and good for but little as an officer, and capable of doing a great deal of harm; and therefore, the sooner you are out of the service, the better. Senator Sumner discussed the situation with Lincoln and the President said that the matter could not be opened without great personal offense to Stanton. The entire episode demonstrates the calamities that could befall an officer with little or no ability to manage the politics within the army. Granted, Copeland’s actions were extreme, particularly in the use of the cipher, but there were certainly other officers critical of the government who were not cashiered. The disrespect Copeland earned was, in all likelihood, only exacerbated by his promotion of a controversial cause–the formation of a black regiment. Copeland resumed his career as a landscape architect with success but the damage to his reputation was irreparable. It was nonetheless greatly satisfying to him when, in 1870, he received a telegram by order of President Ulysses Grant, stating that his dismissal was “hereby revoked and his resignation is accepted to take effect Aug. 8, 1862.” The entire town of West Castleton, Vermont, where he resided at the time, put on a celebration in Copeland’s honor.